Keeping traditions alive is important. 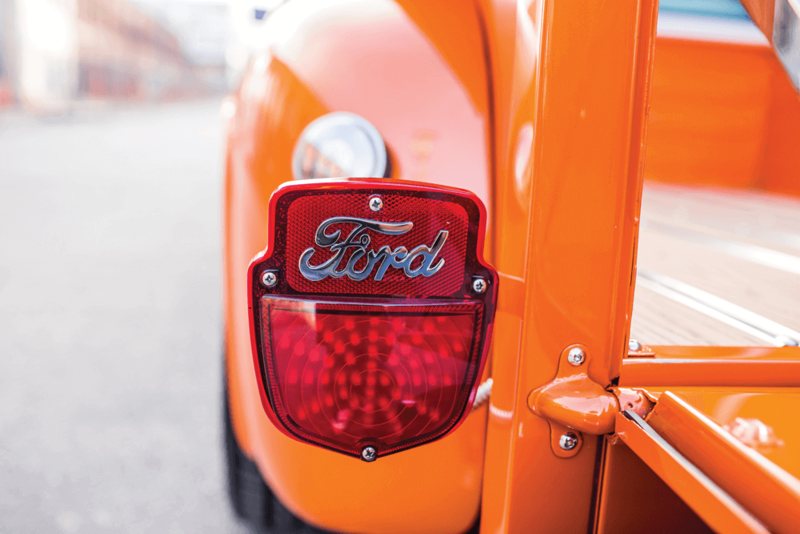 From maintaining the family business to choosing the same truck our dad or granddad owned, staying true to our heritage is a way of connecting with those we love. Isaias Garcia feels this way, and following in his father’s footsteps is his way of connecting with his nearest and dearest. Most of us look up to our parents and strive to be like them. For the Garcia family, that means Ford cars and trucks. 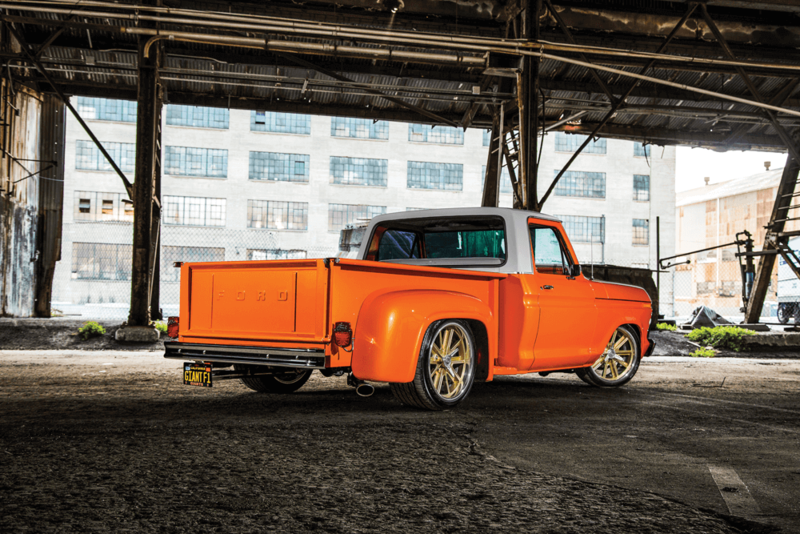 Isaias’s father, Ike, drove a ’69 F-250 for the family’s San Francisco-based electrical contracting business, and it’s been a prominent vehicle in their stable for many years. 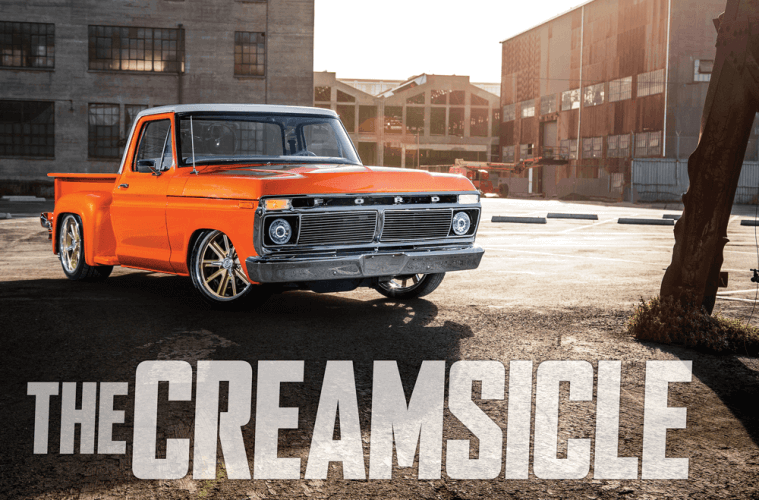 Isaias’s cousin, Aaron Magdangal, owned a ’78 F-100, and in addition to his work truck, Ike also drove a ’62 Ford Falcon sedan delivery that he and Isaias enjoyed working on when Isaias was growing up. 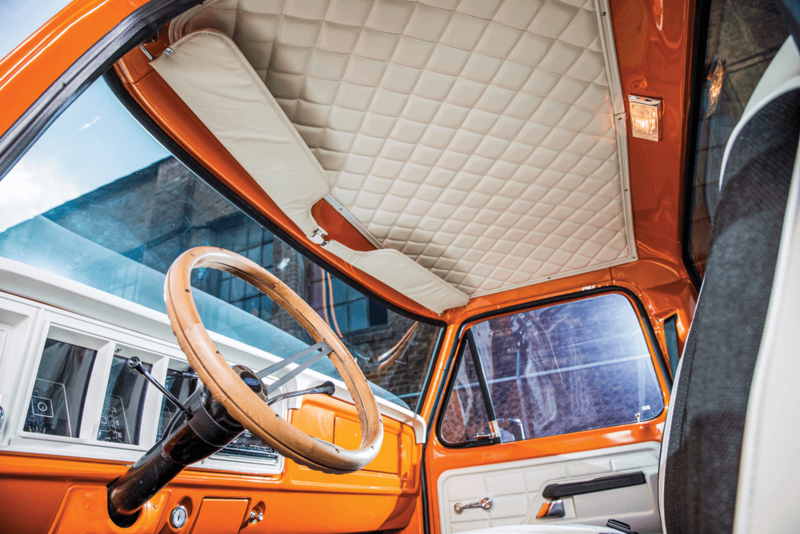 THE FLAWLESS INTERIOR WAS REFINISHED TO MATCH THE BODY. Ike’s F-250 has been used and abused, but he loves the truck and has outfitted it with a utility bed to keep it in service longer. 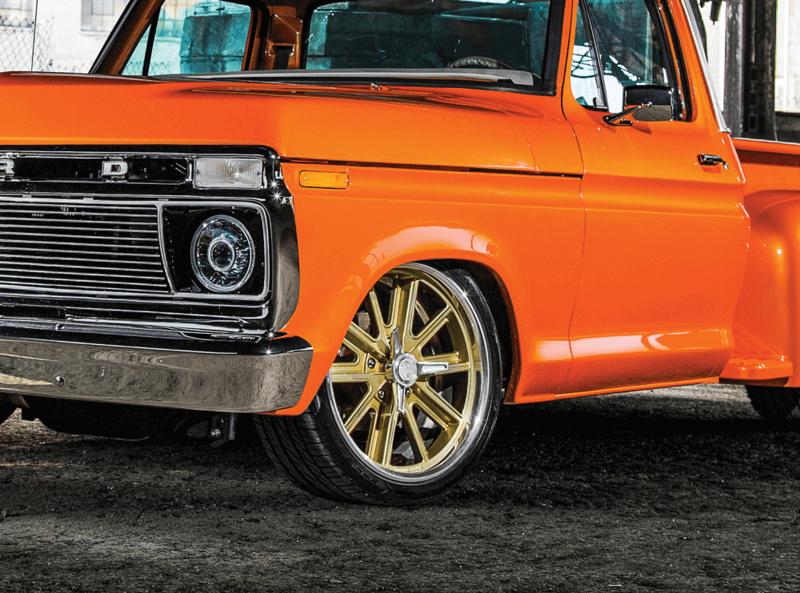 For a while, Ike had his eyes on a flare-side ’77 F-100 that one of his customers owned. It was well maintained and in decent shape, which made it the perfect candidate for a build. 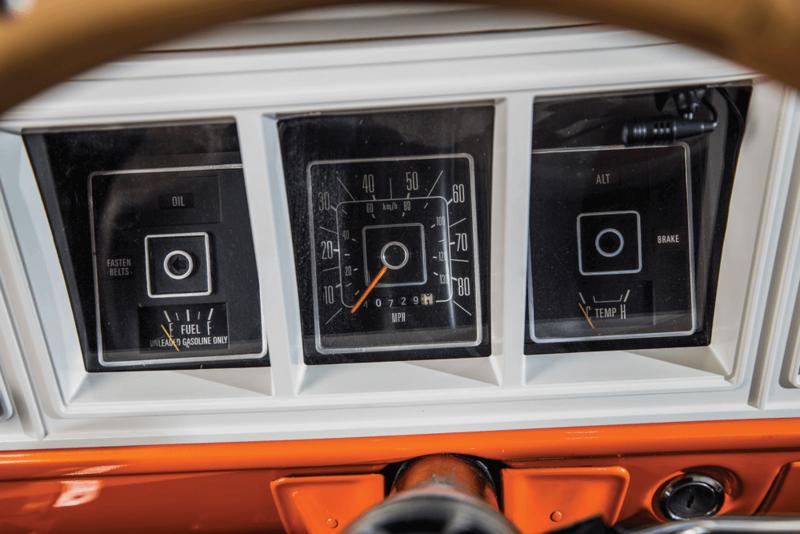 The truck had the original 302-ci V-8 and 3.03 manual transmission complete with a three-on-the-tree column shifter. The truck was solid, but the owner was getting older and finding it increasingly difficult to drive. Ike made the owner an offer, which was accepted, and then turned around and gifted the truck to Isaias. 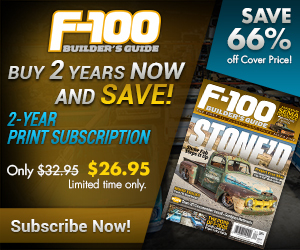 Isaias was so stoked to get the F-100 that he drove it daily for years. When something needed upgrading, he and his father worked on it together. He enjoyed the truck as it was, but his plan was always to rebuild it. 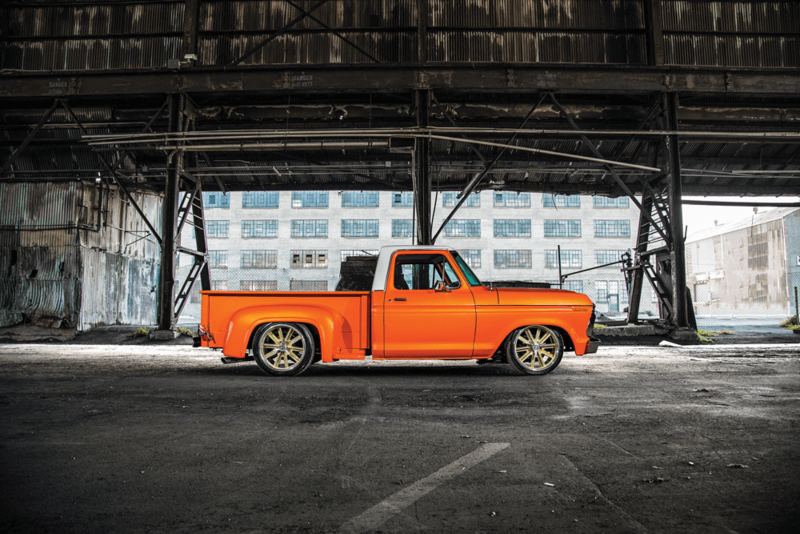 Isaias knew that if he wanted to see his plan through, he had to go all in, so he made the leap and fully invested in his beloved F-100. He got started searching for a shop and chose Rolling Motors to tackle the rebuild. 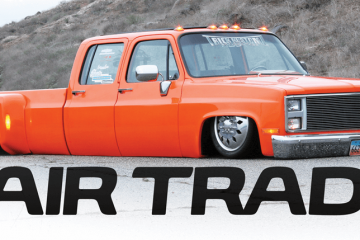 The business specializes in collision work, but the shop crew was eager to test their skills on this truck. 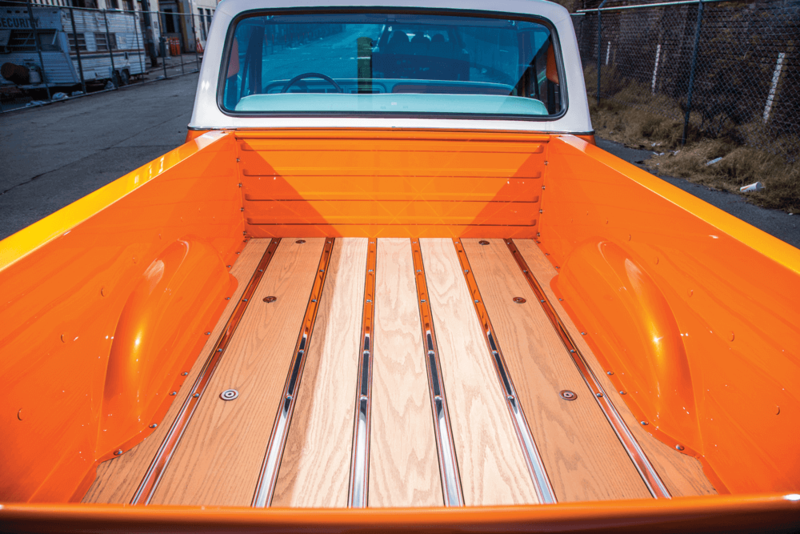 THE LMC TRUCK WOOD BED FLOOR KIT KEEPS THINGS IMMACULATE IN THE REAR. Picking the right shop can be troublesome. 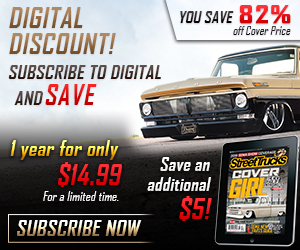 It might seem as though your truck is being held hostage, and the work might not turn out as well as you expected. Isaias’s build went smoothly in the beginning, but there was a hiccup when Rolling Motors relocated once its lease was up. During the move, the crew made an effort to ensure the F-100 was handled. At the new location in Burlingame, California, Rolling Motors’ name was changed to Golden State Collision Center and work on the truck continued. No harm, no foul. The truck was torn down to its bare chassis, and a set of airbags and DJM Suspension Dream Beams were added up front. The original engine was cleaned up and enhanced. The original steel body was straightened and painted Oh So Orange Pearl with a Lexus Pearl White top. Afterwards, an order was placed with LMC Truck for exterior and interior replacement goodies like bumpers and a wood bed floor. 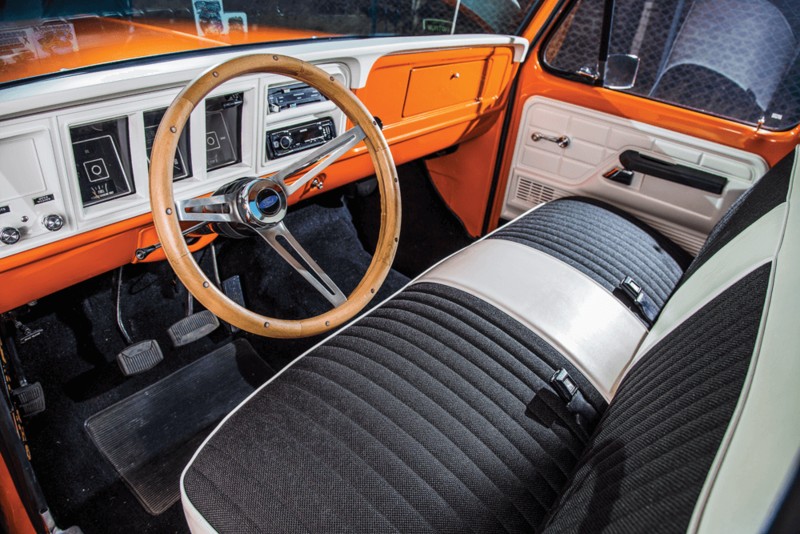 On the inside, a replacement upholstery kit was customized and installed by Sealand Upholstery. 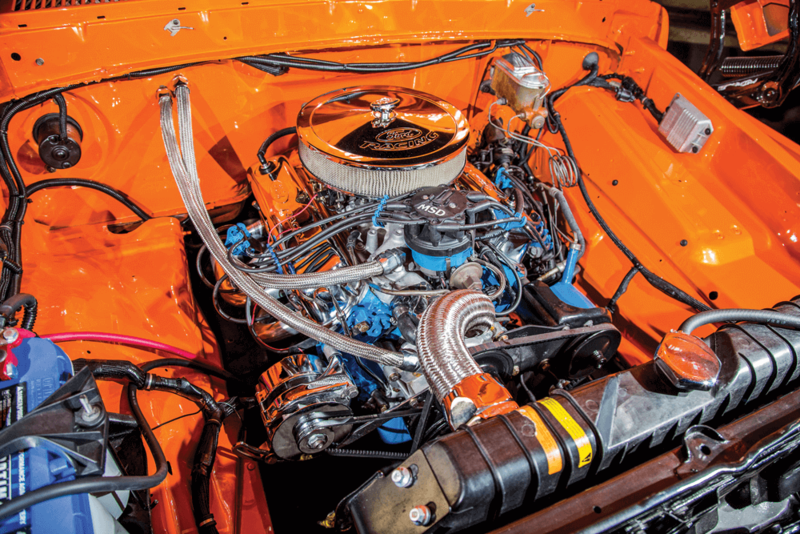 THE ORIGINAL 302-CI ENGINE WAS IN GREAT SHAPE. IT WAS CLEANED UP, PAINTED FORD BLUE AND RECEIVED A FEW PERFORMANCE PRODUCTS. Frame-up builds like this take time. Currently, Isaias is considering whether or not to upgrade the drive train. 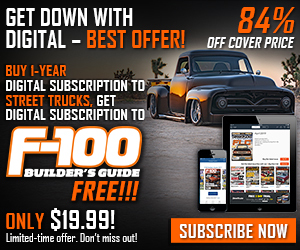 Now that the F-100 is running well and looking right, Isaias is more pleased than ever to keep this Ford in the family. Previous ArticleBEST OF 2017 – FLASHBACK!